Morley Academy has defended its stance on parents’ use of social media, after it emerged police officers had visited individuals regarding comments made about the school on Facebook. The school made national headlines last week when it said some pupils could be excluded from school trips and punished if their parents made “offensive or inaccurate” posts online about the academy. A statement released on Friday by the Gorse Trust, which runs Morley Academy, said personally insulting or threatening comments would not be tolerated. “The police have fully supported us in this matter and have warned a number of individuals regarding their unacceptable conduct on social media,” it said. A group of parents connected with Morley Academy have pledged to write a letter to the school’s headteacher Leanne Griffiths to try and resolve the dispute, following a meeting at the Village Hotel in Tingley on Sunday night. 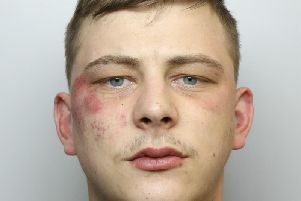 “A spokesman for Morley Neighbourhood Policing Team said that no parents had been dealt with on a “criminal basis” but that officers had visited some parents to ‘advise’ them about their conduct.